Lice Free Noggins Lice Removal Services now offers head lice removal in all neighborhoods of Staten Island. Feeling stressed about head lice? Over the counter products not working? Tired of sitting for hours in expensive lice clinics? No need to make lice removal a stressful procedure. Our highly trained lice clinicians use the Lice Free Noggins Method for eradicating head lice; a process which is safe, non-toxic, quick and effective, we guarantee it. The best part is that after a Lice Free Noggins technician leaves your home, you wont be asked to continue the comb-out process for the next two weeks- which is a standard protocol at almost all lice removal salons and services. After your family is treated for head lice, you will be 100% lice free. We offer safe and effective in-home head lice treatment and lice removal. We service all phases of head lice removal for children and adults: Head Lice Removal, Louse Removal, Nit Removal, Head Lice Screening, School & Camp Head Lice Screenings, In-Home Head Lice Treatments, Lice Prevention, Lice Education & Awareness. Lice Removal in Staten Island is now offering lice removal in Staten Island. Call the lice experts on Staten Island at 347-273-8476 for an all-natural and guaranteed lice removal treatment. 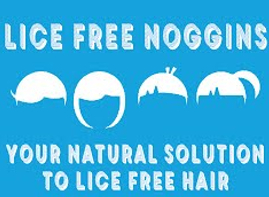 Lice Free Noggins Lice Removal Service is an in home head lice removalandlice treatment service in Staten Island, NY.